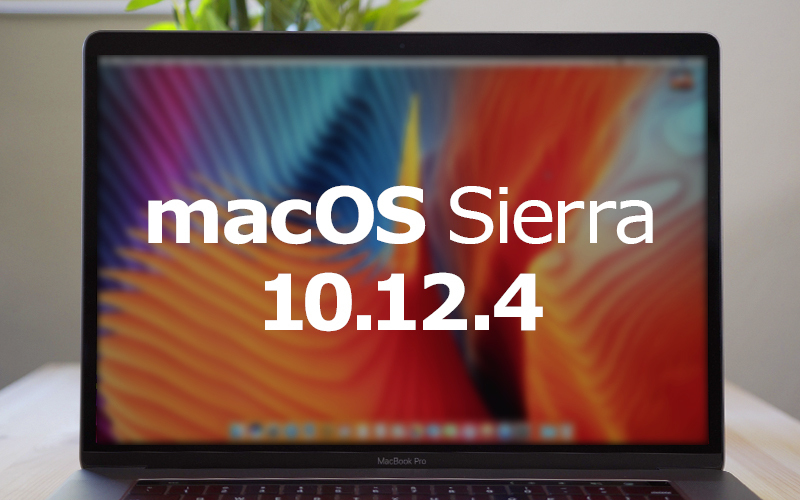 Apple today released macOS Sierra 10.12.4, the fourth major update to the macOS Sierra operating system that launched on September 20. macOS Sierra 10.12.4 has been in testing since January 24, with Apple having seeded eight betas ahead of its public release. macOS Sierra 10.12.4 is a free update for all customers who are running macOS Sierra. The update can be downloaded using the Software Update function in the Mac App Store. macOS Sierra 10.12.4 brings iOS's Night Shift mode to the Mac for the first time. Night Shift, first introduced on iOS devices in iOS 9.3, is designed to gradually shift the display of a device from blue to a subtle yellow, cutting down on exposure to blue light. Blue light is believed to interrupt the circadian rhythm, disrupting sleep patterns. Night Shift is activated through the Displays section of System Preferences, where a setting to have it come on at sunset and turn off at sunrise is available. It can also be set to turn on and off at custom times. Night Shift can also be toggled on manually using the Notification Center or Siri. The 10.12.4 update focuses primarily on Night Shift, but the update also includes dictation support for Shanghainese, cricket score integration for Siri, improved PDFKit APIs, and new iCloud Analytics options. Apple has announced today it will drop iTunes support for some older devices from May 25. This includes the first generation Apple TV, and also any PC running Windows XP or Vista. The company is introducing new security changes which will prevent those devices from using the latest version of iTunes. Apple says that the original Apple TV is an "obsolete Apple product" and will not be updated to support security changes. Only those with the second generation of Apple TV or later will be able to access the iTunes store. Windows XP or Vista users won't be able to use the latest version of iTunes, but older Windows computers can still use previous versions without support from Apple. Those who do so, however, won't be able to make new purchases or re-download previous purchases on that computer. If you're on on XP or Vista, you'll need to upgrade to Windows 7 or later to continue using iTunes normally. Microsoft plans to remove the HomeGroup functionality from its Windows 10 operating system. The company made the first step towards that goal in the most recent Insider Preview version of Windows 10 as it disabled it in that build. In "a note about HomeGroup" in the release announcement of the Windows 10 Insider Build, Microsoft confirms that HomeGroup will be retired. The company introduced HomeGroup in Windows 7 as a new option for home users to access printers, files, and media in home networks. The core idea was to assign all devices to a single HomeGroup to share access to files and printers between all devices. It is unclear how popular the feature was and is. It is clear however that it was never the only option that Windows users had in this regard, and it was not the best either for certain use cases. You could not add Mac OS X or Linux devices to a HomeGroup for instance. BBM Desktop is now a thing for Android BBM beta users! With BlackBerry Blend having met an arguably early demise, folks looking to use BBM on their desktop have been out of luck. That might soon change, though, as the latest BBM beta release for Android has a BBM Desktop mode. With BlackBerry Blend having met an arguably early demise, folks looking to use BBM on their desktop have been out of luck with no desktop application available. That will soon be changing, though, as the latest BBM beta release for Android has introduced a new way to bring BBM to your desktop.